It’s almost been a week since having this relapse confirmed and I have felt very differently this time to last – emotionally I mean. 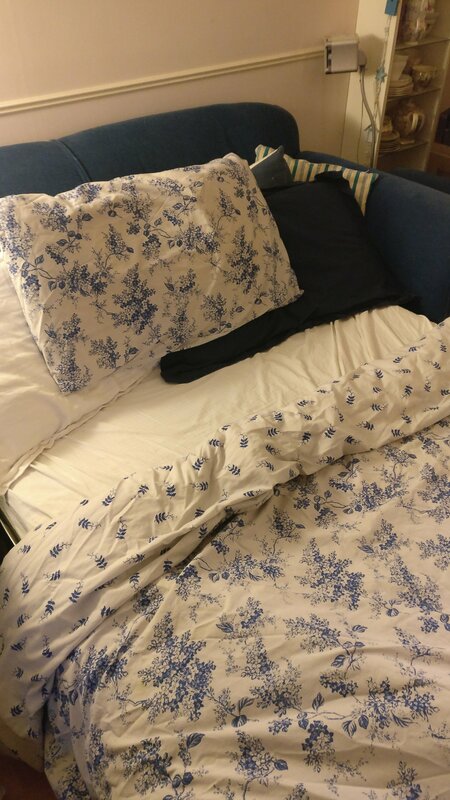 I feel a lot more positive and determined to do whatever I can to help boost my recovery, the chronic fatigue is the worst of all my current symptoms but I don’t try to fight it, I just let it roll… If I want to have a sleep then guess what, I’ll have a sleep! (I actually had my first day time nap yesterday lol that felt good and yet slightly strange at the same time because I’ve never really slept during the day. No one knows how long the recovery of a relapse will take, I always say it will take as long as it does, however that does not mean that I’m not going to do everything in my power to help boost things a long and I’d like to share with you all what I’ve been doing over the last few days/week to keep my spirits up, my positive mindset thriving and my recovery boosting. This might sound funny to some people but I honestly feel that the food in which I’m fuelling my body is really having a positive effect on my mental health. When I think back to my 2nd relapse of this year in June I was very emotional, suffering from anxiety and severe stress – I feel a lot more relaxed with things in general. Obviously I have periods where anxiety creeps out but I feel so much stronger and in control of that now. Since changing my eating habits to a vegan/plant based lifestyle I’ve really felt a positive improvement. 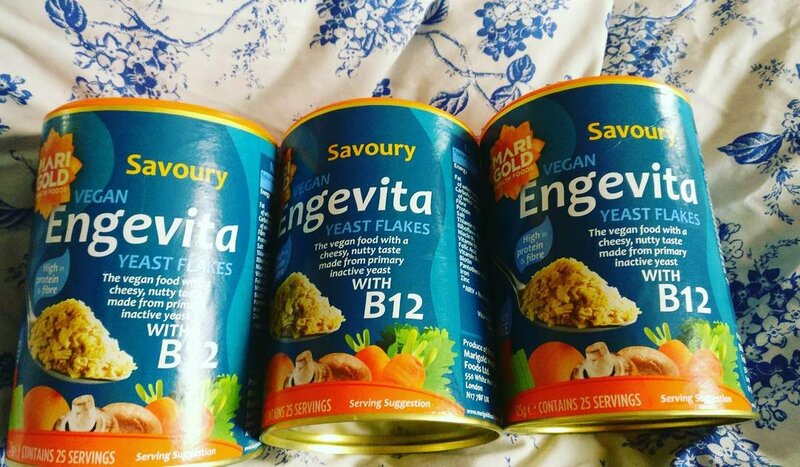 It’s unfortunate that a relapse has occurred and there have been a few times where I’ve doubted the vegan lifestyle wondering if that caused my relapse, however like my wonderful partner said ‘You can’t select one route for the cause of an MS relapse/flare up, no one yet knows how they’re caused’ which filled me with determination to continue and adamant to treat this relapse with delicious whole foods and fingers crossed my recovery speeds up. Blend that up in my smoothie blender and apply to face. 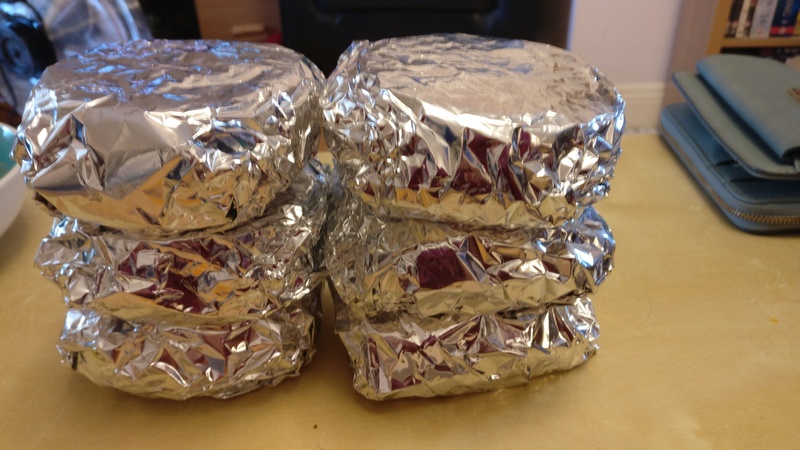 At around 10:30 ish I will have a snack… These can vary depending on the fatigue. Sometimes I’ll have half avocado on toast with tomato, or some Ryvitta crackers peanut butter and berries, some nuts or raw veggie sticks and hummus. Honestly this is absolutely delicious and I love it!! I think the main thing I’ve been doing so far throughout this recovery is… REST and lots of it! Even sleeping during the day if my body wants to. 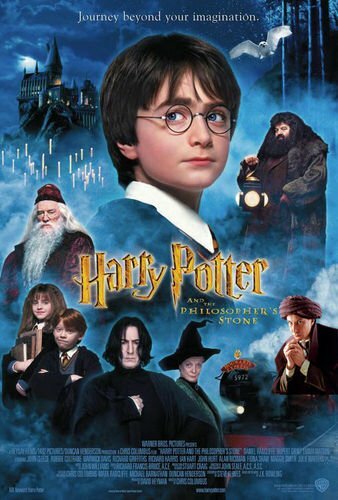 I’ve basically been listening to my body for once and just doing whatever it wants to do – also watching ALL of the Harry Potter movies on repeat! The first one is definitely my favourite, it’s just so magical! Hello everyone, how are you all? 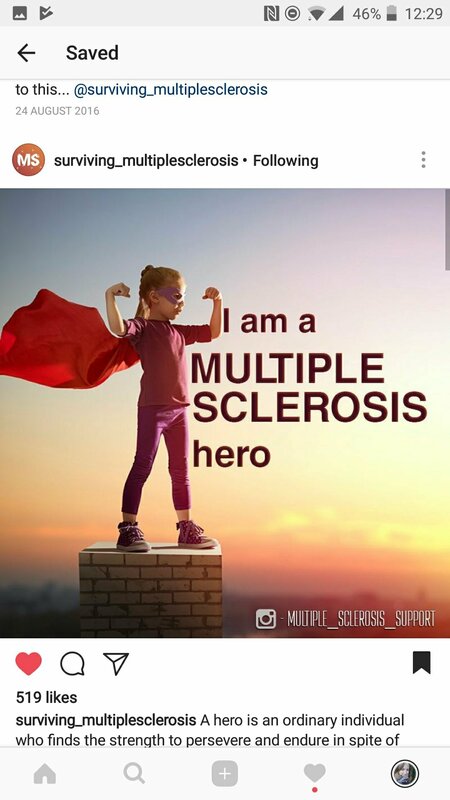 ‘Food and MS’ I’ve read and heard a lot about this recently ‘What to eat to help MS’ ‘Food cured my MS’ ‘What not to eat’ etc and it got me thinking… Is any of this true? Cutting out a lot of ‘Main Food’ groups would actually benefit me? Example, cutting out red meat, dairy, sugar, saturated fat, becoming full on vegan, becoming raw vegan, cutting out gluten, cutting out caffeine? We already have enough to think about and deal with/manage every day, do we really want to be over thinking about what we are eating? I used to watch a lot of YouTube videos ‘What I eat in a day’, ‘Vegan Recipes’, ‘Quick an easy recipes’ ‘Quick and Easy Meal Ideas’ and the only thing that these had in common… They didn’t suit me! No matter how much I tried to make it work, when I come home from work at 6:15pm the last thing I want to do is stand or be in the kitchen for 30 minutes plus cooking a meal with a load of ingredients… I want SIMPLE, QUICK, NOURISHING, EASY meals and so after a lot of research and deciding to try ‘cutting out a few basic things’ first I have come up with a simple structure that actually works for me! Now I’ve been doing this for just over a month now and the only thing I’ve noticed so far is that my anxiety levels are dramatically reduced and I’m a lot calmer since I’ve stopped consuming caffeine… I drink caffeine free beverages now and always check the packaging to make sure it doesn’t contain caffeine… however I had no idea that caffeine is in more than just beverages – yes I know I’m’ naive! So I try to avoid it to the best that I can. 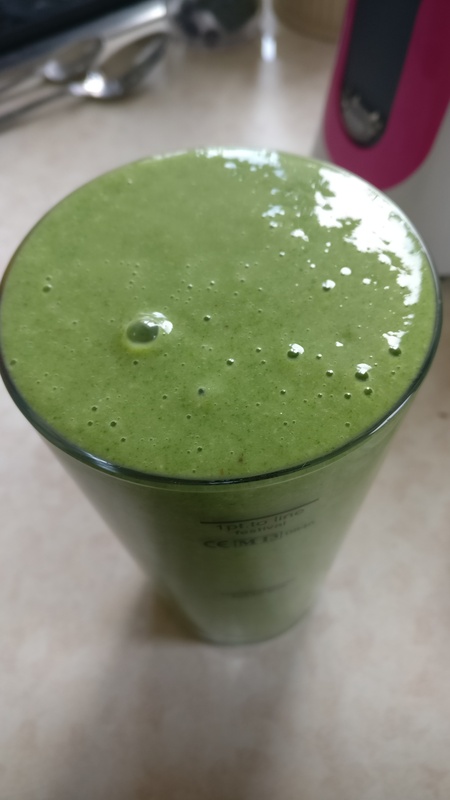 I also try and have at least 1 vegan or veggie meal a day, this is normally breakfast in the form of smoothies. 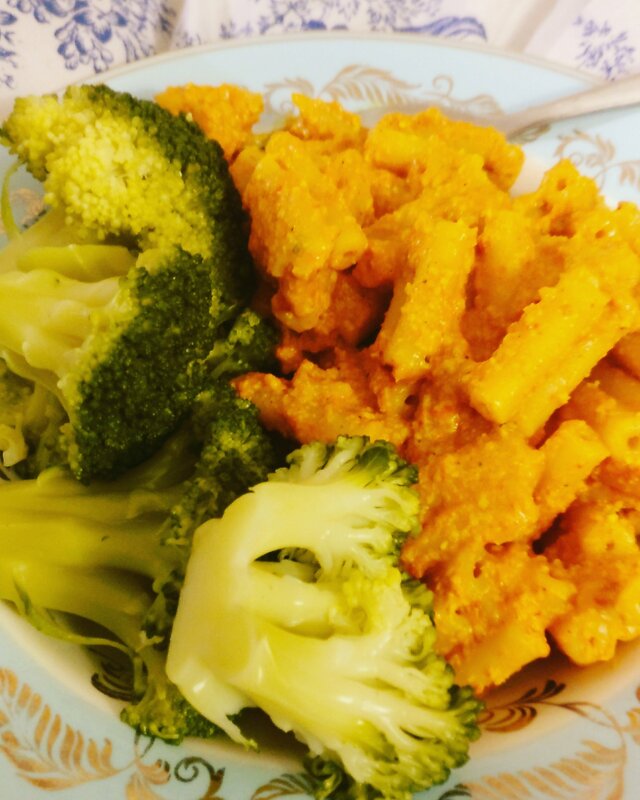 Lunches are usually Sandwiches and dinner definitely consists of vegetables and something tasty but maybe not lean, fat free etc all of the time. I thought I’d give you a five day plan of what I eat in a day that’s actually simple for me and helping me 🙂 obviously I know this won’t work for everyone and it’s just there to help people who struggles with planning perhaps? 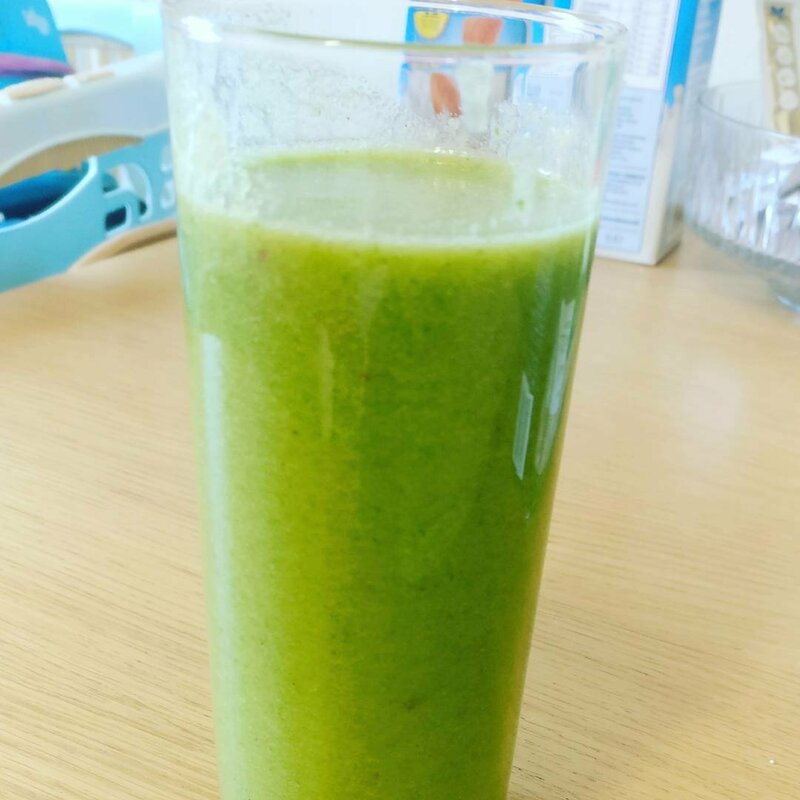 Day 1 – Breakfast:- Fruit Smoothie made with mango, spinach, banana, oats, almond milk & water, a little coconut sugar, cinnamon and a little ginger. Lunch:- A small sandwich (bread roll) with tuna, Mayo, sweet corn, cucumber, lettuce I then usually have a dairy free yogurt, a piece of fruit, carrot sticks and hummus and a Eat Natural Bar. Lunch:- A small sandwich with 1 slice of ham, 20g cheese, lettuce, cucumber, tomato, spring onions then the same a dairy free yogurt, a piece of fruit, carrot sticks and hummus and a naked bar. Lunch:- A small sandwich with falafel, hummus, lettuce, cucumber and grated carrot, a dairy free yogurt, a piece of fruit, carrot sticks and hummus. 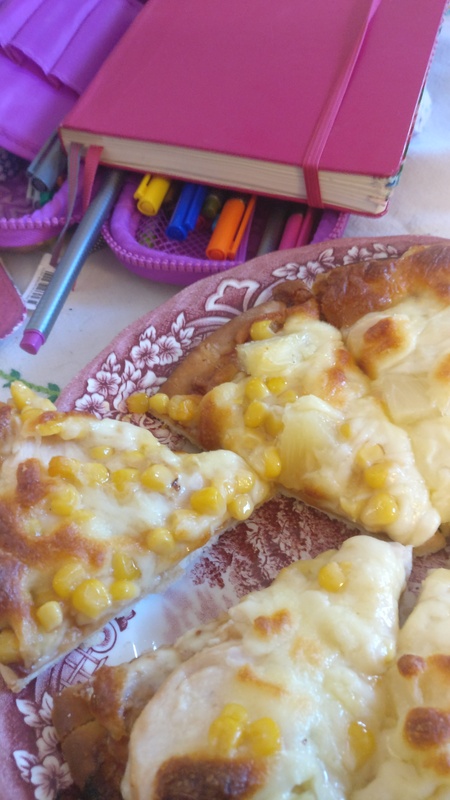 Dinner:- homemade pizza with bbq sauce, chicken, pineapple, sweet corn and mozzarella – this is a treat because George is normally out in the evening. 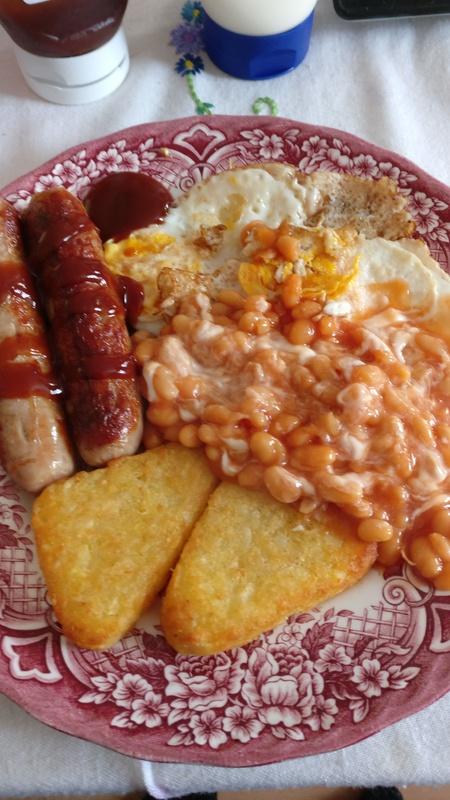 Day 4:- Breakfast: A small English fry up with 1 sausage, 2 eggs, baked beans and 2 hash browns (I like to have a change up and something that I like). 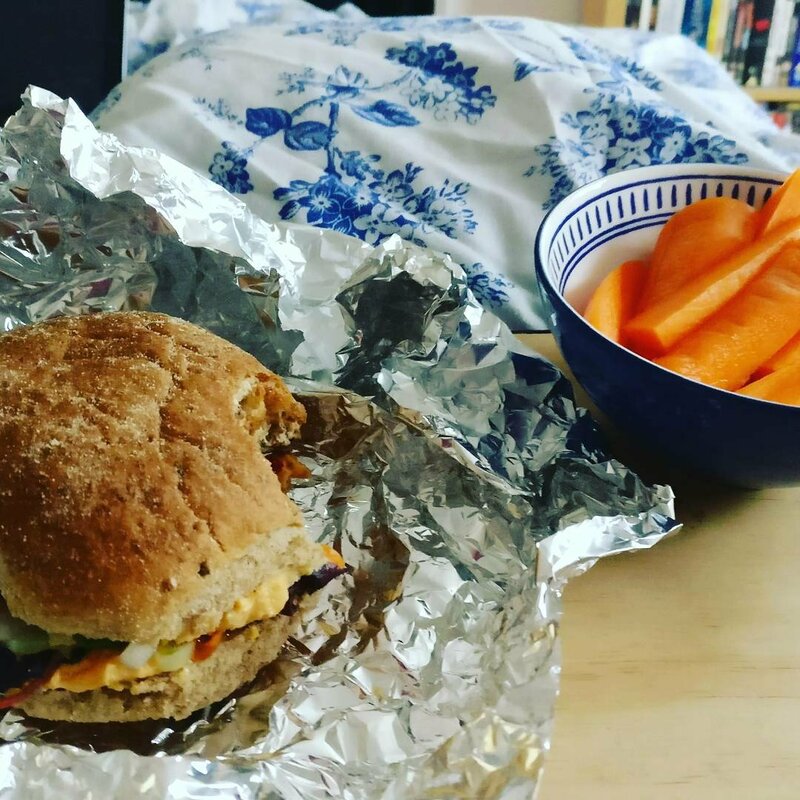 Lunch:- a small falafel Sandwich with hummus, lettuce, cucumber and grade carrot, a dairy free yogurt, a piece of fruit, carrot sticks and hummus and a Eat Natural bar. 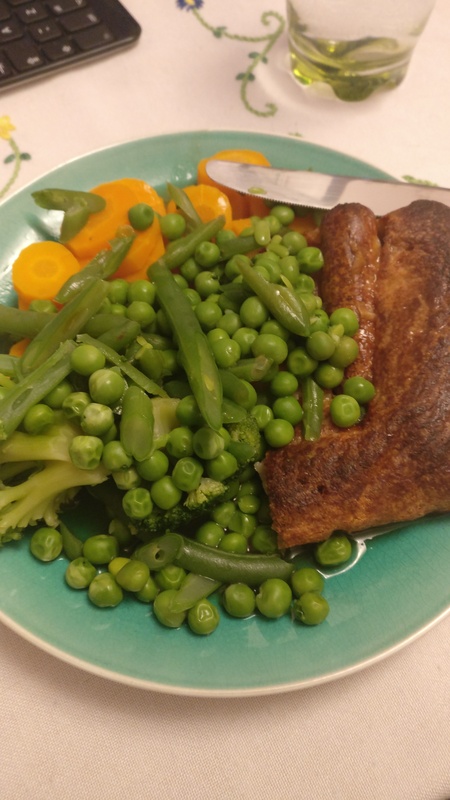 Dinner:- Toad in the hole with peas, green beans, carrots and broccoli. I finally feel happy about food and don’t feel that I should be eating a certain way for my health.. it’s also all simple and easy prepared food which honestly does’ take long.. Yes some of it is cooked in the oven.. But I need simplicity in my life at the moment.. and this works for me..
Hey everyone.. so whilst being off work sick there have been times where actually preparing and cooking food have been really difficult and sometimes I physically can’t do it.. so I have put together a little meal plan to help me through the day at home alone..
All the food I’m mentioning I have mostly prepared with help from my partner on a Sunday so we have things for the week. As you can see in the above picture there’s a freezer bag with alsorts in.. on Sunday we chopped up some bananas and put them in a freezer bag combined with frozen fruit and some spinach, we did this 5 times social have smoothies for breakfast or snacks for the week. 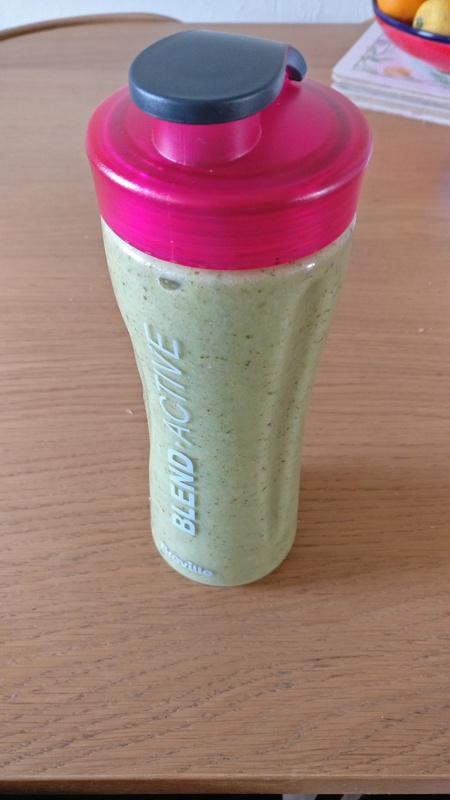 All I needed to do this morning was out the bag if frozen ingredients into my blender with some liquid and blend it up.. I also added a tbsp of ground flax seed mix. Lunch we’ve been keeping very simple and easy.. I’ve been using up the ham and cheese we have in the fridge so again on Sundays we’d make sandwiches for the next 3 days and also chop up some carrot sticks, pepper and celery, some fruit usually melon, some crisps and a snack bar.. I out all this (apart from crisps and bar) into the fridge so then when I’m home alone I can just grab food put the fridge to eat that’s already prepared.. this has been great whilst I’ve been off poorly! So for dinner.. my partner has been cooking for me because I’m struggling to stand up for periods of time.. 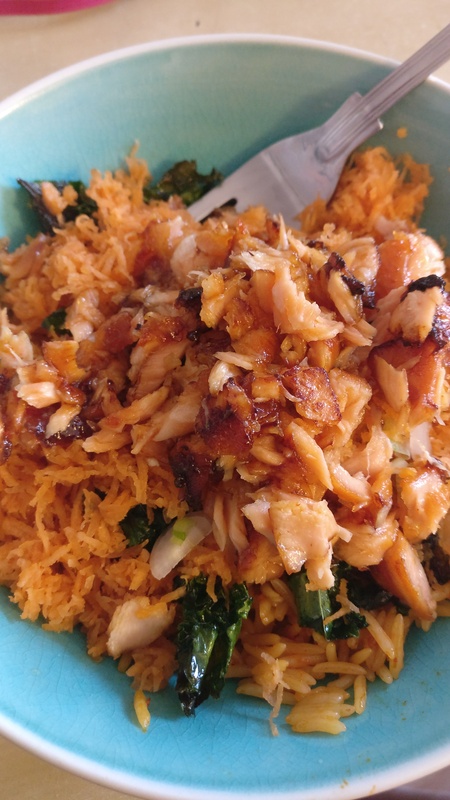 I do sit at the table and help prepare salad.. again we’ve been keeping this very simple.. we’ve been eating a lot of “bowl food” lol.. so rice, lots of salmon and veggies with usually a dash of sweet chilli sauce.. This is much better than heading for that take away which I’m not going to lie.. I have been to the take away a few times whilst I’ve been off poorly.. you just have to eat what you fancy but I’ve definitely felt an improvement on my health eating good wholesome foods. As the title would suggest, this is another “What I eat in a day” post… I think my last posts got a few hits, so I’ll continue to write them. 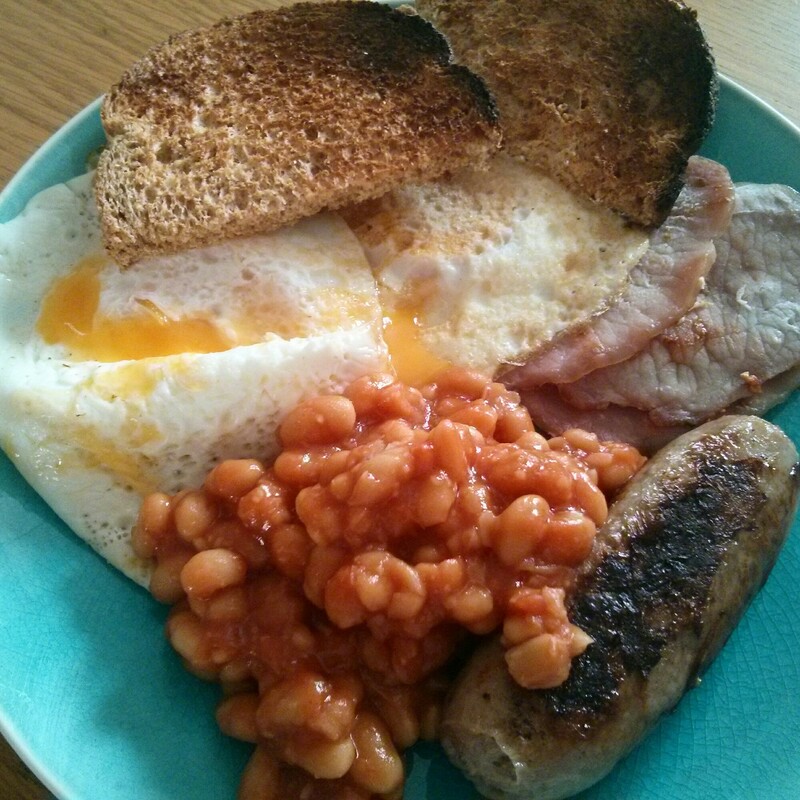 Now this “What I eat in a day” is going to based around Sunday… This is my normal day off work and Sundays is a day of slight indulgence for us.. as well as still trying to keep on the healthy side too..
We very rarely have this but a classic English Fry up is just so comforting and delicious!! There’s not much to say about how i cooked this as it’s quite self explanatory and a lot of people like to cook fried breakfasts differently than others.. here are the things that I used to make my fried breakfast a little more healthier. 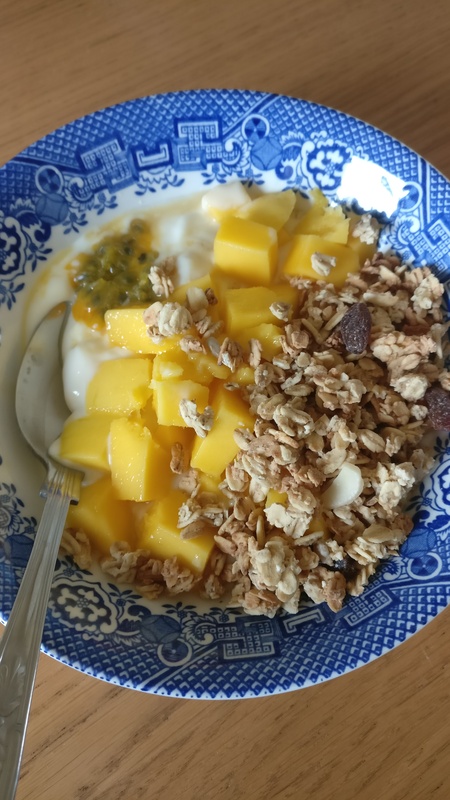 If any of you reading this follow the Slimming World plan.. I’m pretty sure that this breakfast would be quite low in syns, which even though I don’t follow the plan anymore, Still try maintain what i learnt on the Slimming World plan. Now this recipe is not only vegan, delicious and super filling.. but also so quick and easy to make! 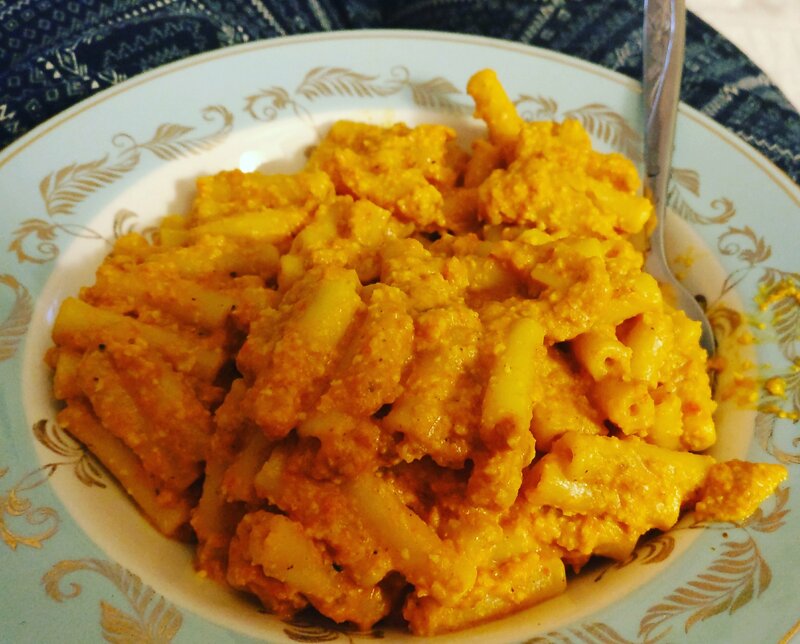 George and I absolutely love this recipe ever since we found it on “Myvirginkitchen” YouTube channel…Barry Lewis made this delicious vegan recipe requested from one of his subscribers I believe and once George and I saw it.. we wanted to create it ourselves!! I definitely think you guys should give this a go.. i absolutely loved it and I’m all about quick and easy meals at the moment 😊 this gets a massive *thumbs up* from me lol. Dinner time!! 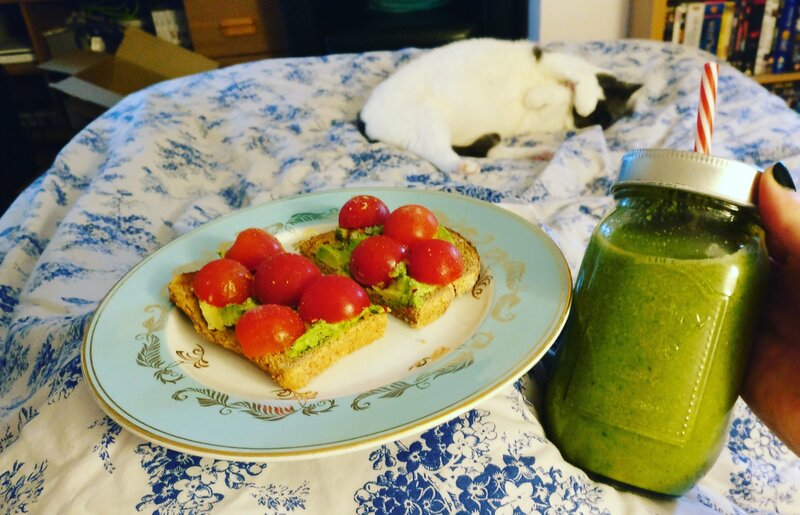 Now this is the time when my fatigue starts to kick in.. especially if I’ve been at work all day or been busy, which is why i like to make sure that my evening meals are not only healthy but quick and easy too.. 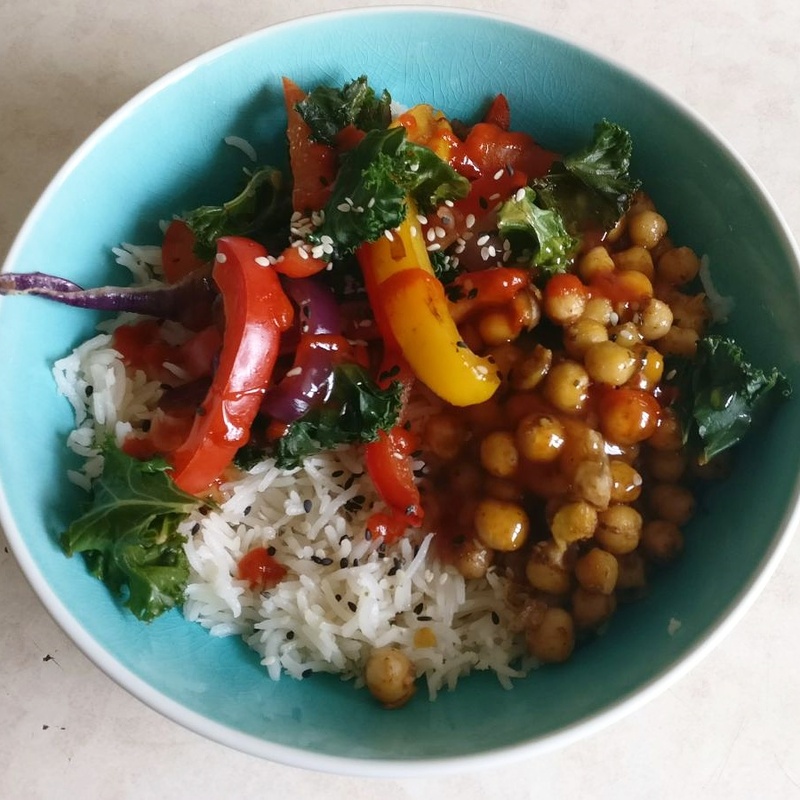 When I say “quick and easy” I also mean as little effort as possible… I’m not a massive “ready meal” fan, however when i do eat them I make sure I chose wisely and make sure their healthy ones..Eg Slimming World ready meals are my favourite. So tonight we had a “Weight Watchers” ready meal each (they’re quite small portions) and this one was the beef hotpot… I’m not a massive fan of the weight watchers meals, but this one happens to be my favourite. I added 1tbsp semi skimmed milk and then…. 1 egg! Yes 1 raw egg to the potato.. this is a Slimming World secret lol.. well i learnt this in group one time.. and by mixing in 1 egg it just turns the potato into an absolutely perfect creamy consistency and you don’t taste the egg at all! And that everyone is my 3rd “What I eat in a day”… I hope you all enjoyed reading this.. and don’t forget to have a little look at my YouTube channel for the video version of this 😊 I also pre-made my breakfast for Monday too from Niomi Smart’s “Eat Smart” recipe book.. which is in my video. I hope you’ve all had a lovely weekend and have a great week ahead and I’ll see you all next week. Breakfast for me really is THE most important meal of my day… I find that if I don’t eat breakfast then fatigue really affects me throughout the day.. even if I don’t have a decent breakfast either.. I remember on the Slimming World weight loss/lifestyle change plan there would be people who would only eat a small little Slimming World bar and a piece of fruit for their breakfast… or just fruit and yogurt… I mean each to their own.. but I need a hearty breakfast to ensure I won’t snack on those biscuits that are sitting round the corner at work.. This breakfast is so delicious and literally fills me up until lunch time without the need of snacks!! So for my lunch I try to prepare and make it all the night before (There’s nothing worse than waking up in the mornings and realizing that your don’t have lunch!!) Now because my evening meals I’m keeping really really simple.. it gives me enough energy to be a little more creative with lunch… but still keeping things simple.. we don’t wanna be burning precious energy on a massive lunch do we? For lunch today I had mad myself a ‘Falafel Salad’.. 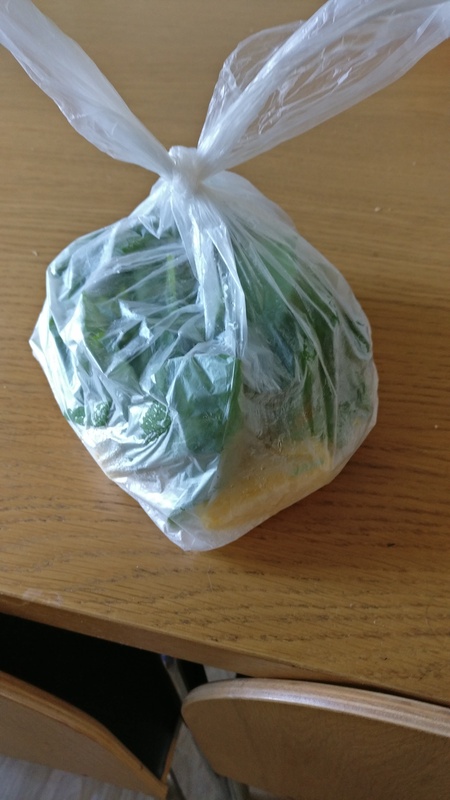 I had bought some falafel balls from my local supermarket and created a delicious filling salad with it.. trust me once I had eaten it I was totally full!! Before anyone says anything I DIDN’T have actual afternoon tea lol.. around 3:15pm I made myself a three mint tea by Pukka.. 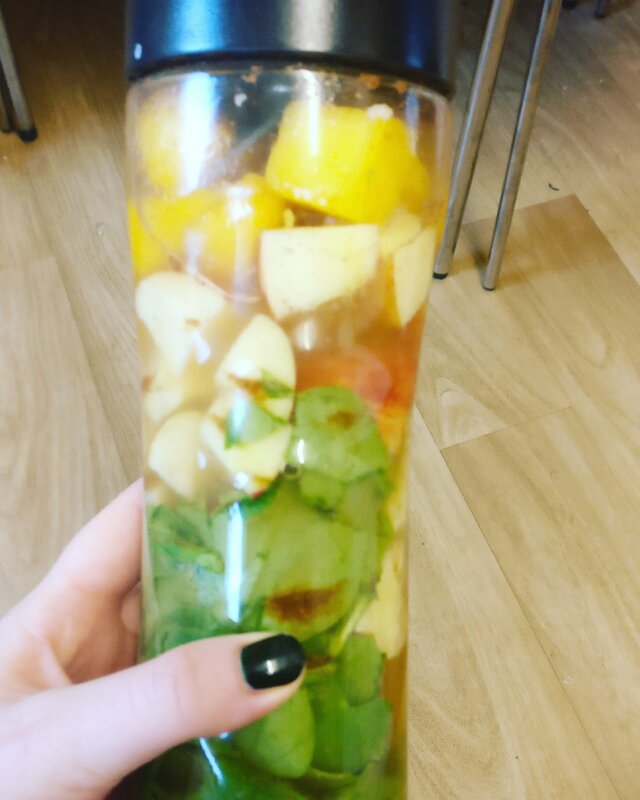 I LOVE these tea, its so refreshing and if my stomach is bloated then it just reduces that, which is great..
It’s come to that time… DINNER!! In the evenings my fatigue is the worst so I like to make sure that my evening meals are as simple as possible but also healthy too.. 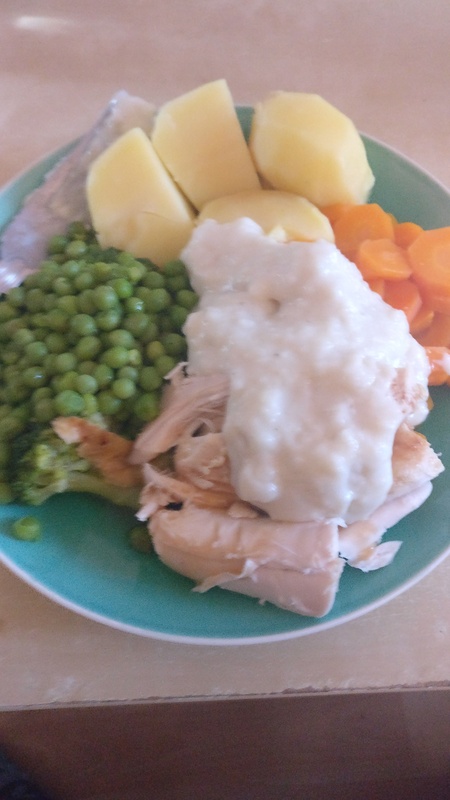 This is where I’ve found the Slimming World ready meals so useful and helpful to me, I can just get home from work and choose a delicious meal.. put it in the oven or even microwave and in little time you have a meal all ready for you! I do like to add veggies and either potatoes or rice with mine as well because George and I share the meals between us. 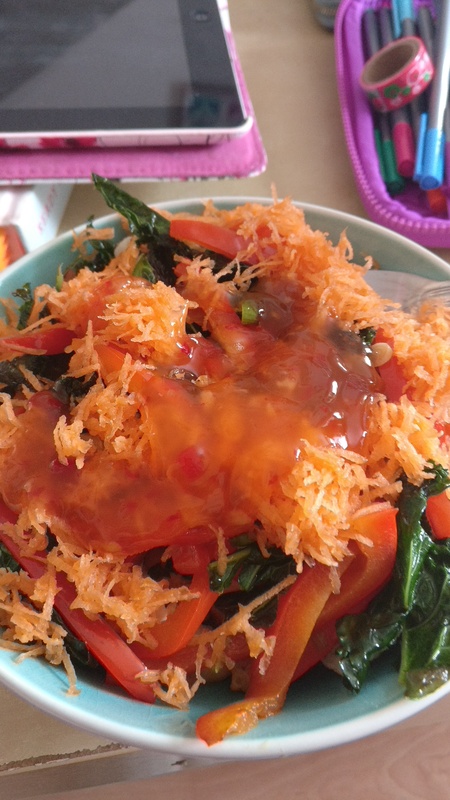 Tonight I have had the Chicken in Black Bean sauce for dinner and because George is having let over Chinese (birthday part two lol) I’ve given him some of the Slimming World meal for his lunch the following day. I also added a Tilda Microwavable rice bag to the meal and some steamed broccoli (Remember I halved all of these things with George) I’m also trying to dish things up onto a smaller plate to try and control my portions sizes, which seems to be working well too at the moment… The meal itself was absolutely delicious and very filling.. I did however have a little desert of 1x Apple with reduced fat peanut butter and 1x banana with 2tbsp nutella and that was the cherry on top of the cake as I felt satisfied and I ate until I was full! I didn’t eat anything else for the rest of the day and after my final meal I actually went and brushed my teeth so therefore I wouldn’t want anything to it lol. Lol I know my plate in this picture does look large, but if you head on over to my channel and watch the video of this blog post.. I actually compare the plate to my hand and it is actually a small/medium plate… not one of my larger ones lol. I hope you have enjoyed this blog post.. Please let me know what you thought to it and leave me any comments to which I’ll be sure to answer.. I hope you’re all well and have had a good weekend. Hey Guys how are you all? 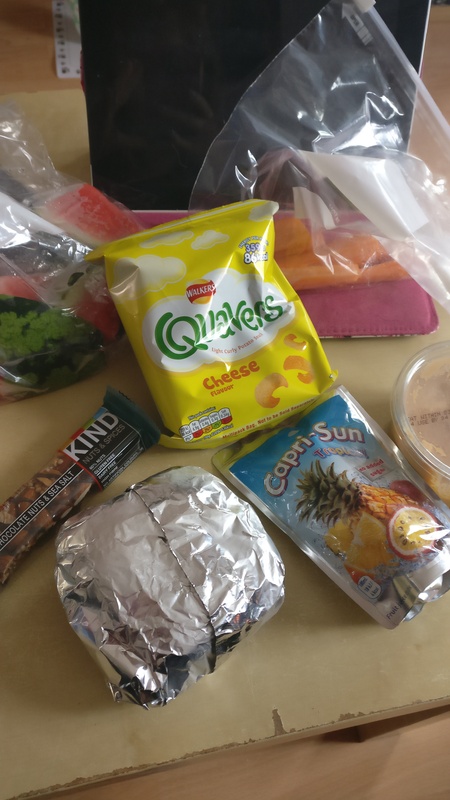 I’m trying to eat better/healthier from now on.. and instead of having take – aways twice a week etc.. just have them once in a blue moon.. same with crisps and other junk etc.. If I’m having a particularly chocolate craving then I’ll look for a recipe for something deliciously chocolatey and fairly healthy too and that normally stops the craving! 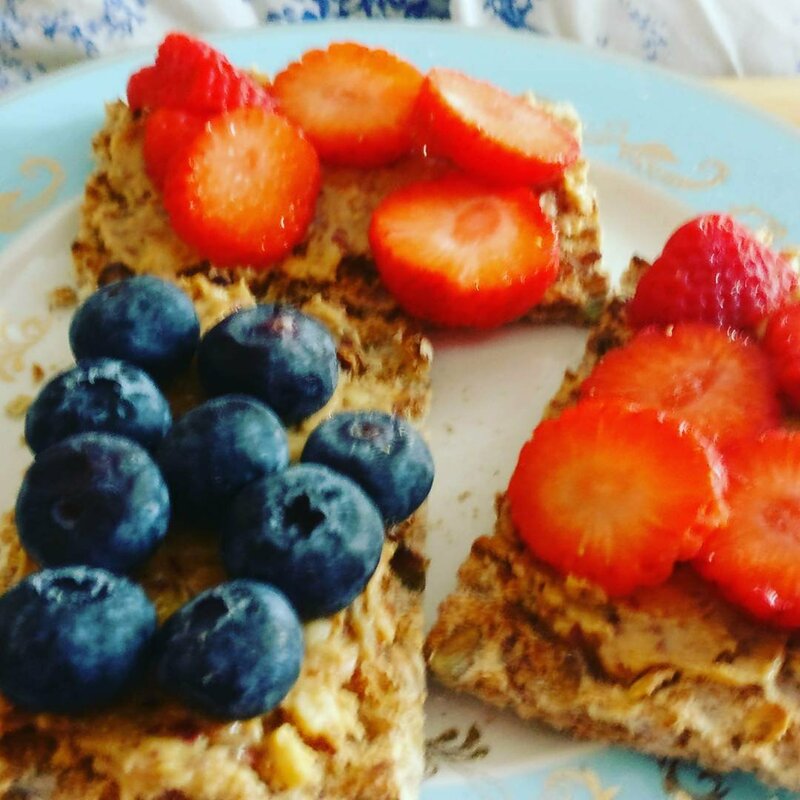 So.. As the title says I’m going to take you through ‘What I eat in a day’ to stay healthy.. Not necessarily to lose weight but just to keep healthy.. losing weight will be an added bonus..
I’m going to talk about three different meals and snacks – All reasonably healthy and some even Vegan friendly (I think!! I am NOT vegan and I don’t say that I am.. but sometimes I cook vegetarian/vegan things for the pure simple fact…they’re tasty) I’ll also post where I found the recipe or if I adapted it myself and obviously the ingredients and how you can create these delicious healthy dishes… Okay… Here goes!! Once to your preference, take the porridge off the heat – Add the cinnamon, coconut sugar and sea salt and stir in well – Can you smell the flavours?! Next add the coconut oil and mix in well – This is a new thing I’ve been doing and it makes the oats so creamy and delicious!! And then add the maple syrup and mix well. Finally add the Almond milk.. This just makes everything so delicious and creamy! You can even heat the almond milk up a little in the microwave (only for about 10 seconds) if its a particularly cold day! 1 Put some boiling water into a saucepan and bring to the boil. Once boiling… add the dried pasta with a little salt. 2) While the pasta is cooking, drain the tuna and put into a bowl, then add the mayonnaise and stir well. 5) Add the tuna pasta to the salad with a little salt and pepper (I also add 1tbsp light salad cream) and jobs done! This meal I just created at home.. I’m sure there’s a proper recipe out there somewhere… but I didn’t use anyone else’s specific recipe. It’s so quick and easy to make.. So if you’re like me and want something easy & Healthy for lunches? This is it!! That’s pretty much it really, once the chicken is cooked you’ll be able to get your fork and start to pull it apart.. if if tender enough it should just fall apart – this means its PERFECT! Finally get your mini taco tortillas and microwave them for 10-15 seconds and then… you’re ready to devour! I absolutely LOVE my slow cooker because same as above… Its EASY!! You can just added all your ingredients and then put it on when you have to go to work.. then when you come home… that delicious smell that fills the air will make any ‘bad day’ so much better!! This was a delicious meal and good new is… I’VE GOT LEFT OVERS!!! yay!! 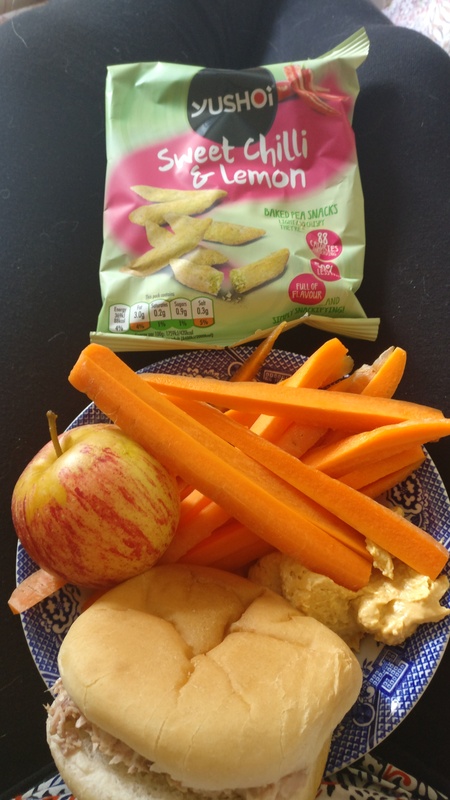 When those times come and you get hunger pangs… instead of heading straight to the chocolate and crisps.. have a go at these delicious healthier treats as an alternative. Now I’m not a massive fan of fruit but when I do eat it I LOVE Clementine, apples, bananas, mango and melon.. they’re my favourite.. I do hope you liked this blog post… Please leave me any comments if you’d like to see more like this.. I also plan on trying to write 1 blog post a week of a variety of things..
Hi everyone! How are you all (whoever is reading)? So in this blog post I’d like to dedicate it and spread the word about what has to be THE most amazing cafe that I have ever visited!! I have been to my fair share of cafe’s and restaurants but this one has been just the most delightful and relaxing one of them all! Today my sister, aunt and I visited Brew Babu in Oundle, Northamptonshire a lovely short ride away from where I live in Peterborough. It’s situated in the market place, however still has that nice serene feel to it. It also looks rather small from the outside, however on the inside its rather spacious (reminded me of The Tardis in Doctor Who!) It’s got such a warm and homely vibe to it and its decor – a kind of rustic , mismatch interior yet beautifully detailed and arranged furniture to make you feel instantly relaxed and welcomed, just like visiting a close friend or relative for the afternoon. My sister was the first person to discover Brew babu where she brought her boyfriend for their ‘Alphabet Dates – B:- Breakfast @ Brew Babu’ and fell in love with the atmosphere, the food (especially the chocolate milkshakes) the tabletop games (I believed they played snakes and ladders) and finally the staff so friendly and welcoming! 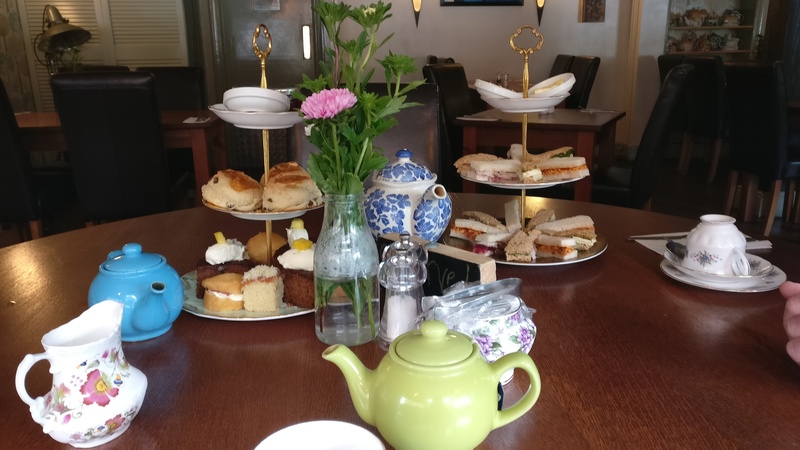 It was my mother who introduced me for my birthday, we came for afternoon tea and the staff had very kindly reserved a table in the window overlooking the market place of Oundle, the tea was brought out in these amazing quirky tea pots and cups and the cakes were placed on exquisite china plates. So that made me fall in love straight away! I am a massive lover of tea and cake!! We came once more after that just for a little light lunch just my sister and I and then today (11th August) our aunt was visiting us from Newark, Notts so we decided to bring her to Brew Babu also… we knew she would just love it!! 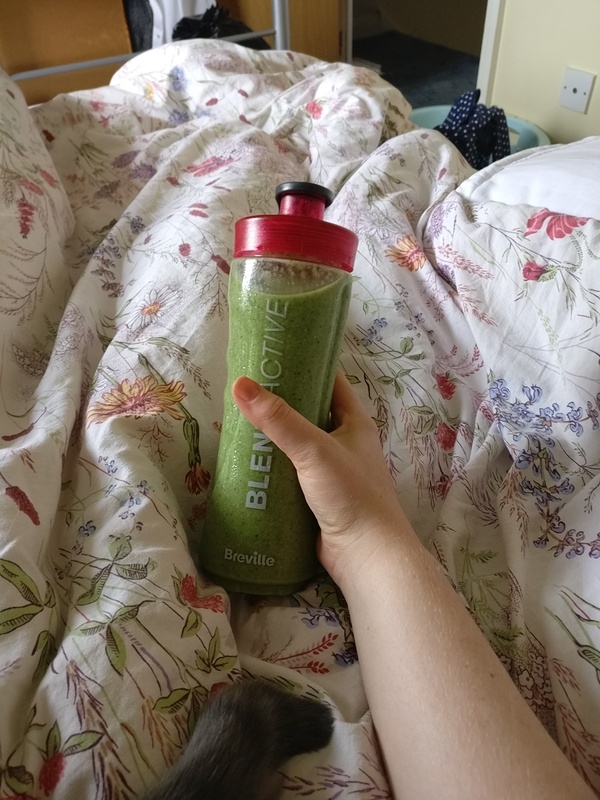 Now recently I have been quite ill (you may have seen in my previous post.. if not please take a look :)) and I’ve changed my diet to a gluten free one also trying to avoid too much dairy because my stomach at the moment can’t really deal with either. Once we arrived I spoke to a lovely colleague at the deli area, he approached and greeted us asking if we had been before. I began to explain my situation.. can they cater for ‘gluten free/dairy free customers’ to which his reply was ‘yes I know we have some cakes and gluten free bread, I’ll get the chef to come and have a chat with you’ and with that we proceeded into the back room to find a table. Moments later the chef greeted us and asked which one of us was gluten/dairy free, her name was Priska (apologies if I have misspelled your name). She went onto talking me through the menu, which options would be suitable for my dietary requirements. She then added that she could alter anything on the menu for me and adjust things so that I could enjoy the food on there – I have never had dietary problems in the past until now and the way she spoke to me and advised that she was willing to cater for me I felt so reassured and at ease.. as I know for certain friends who are gluten/dairy free that sometimes it can be very difficult when eating out – NOT at Brew Babu! I decided on a cake – Orange and Almond, handmade by Priska the day before and she only had ONE slice left… that was going to be MINE!! As I ventured to the front desk I noticed that not only was it gluten free… but DAIRY FREE too!! This made me so happy and even more excited to try it.. they had also mentioned that they had gluten free bread.. I asked if I could have some, but had no idea what to have it with – lets face it, plain bread is pretty bland!! Priska went on to giving my suggestions ‘roasted vegetable, goats cheese (no) salad etc’ I replied that the roasted vegetables sounded lovely.. so with that.. she was off!! I fully expected to see a couple of slices of gluten free bread with some roasted veg and salad.. I wasn’t expecting what I received!! An absolutely delicious mountain of roasted vegetables, on two slices of toasted gluten free bread with some kind of spread (not too sure what that was) topped with mixed leaves, tomatoes and a balsamic glaze… it was absolutely DELICIOUS!!! I loved every mouthful and then the cake….. well… I’m going to be researching a recipe and making my own!! It was so delicious.. moist, fluffy and soft.. I would never of expected gluten free& dairy free cake to taste like that at all!! My aunt had soup of the day which was pea and kernel (I think again I could be wrong) and she absolutely LOVED it and followed it down with a sliced of this delicious fruit desert – again I can’t remember what it was called.. again beautifully presented! 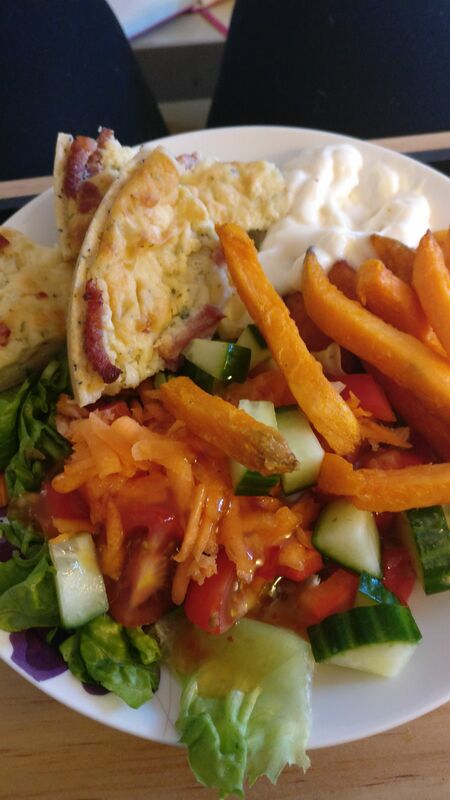 My sister had her favourite chorizo ciabatta garnished with a light salad and a few lightly salted crisps, she also followed that with a Portuguese custard tart. We then proceeded to play a game of noughts and crosses (one of their sweet little board games) and then decided that we had better go – I think we were there for well over an hour!! I met the owner of Brew Babu – Dyna Graham and she was very welcoming, we explained how much we loved coming and were bringing more and more new people.. I then went onto telling her about my blog and how I’d love to write a post about Brew Babu.. I was allowed to take photographs and they all seemed thrilled! And that concludes this entry of my blog today.. I want to point out that I was NOT sponsored for this.. I simply wanted to write about how much of a wonderful experience we had and how much we LOVE Brew Babu and we WILL be back soon.. maybe just my sister and I or maybe with other newbies.. Thank you SO much to all the staff, Dyna and Priska at Brew Babu.. you were as always fabulous. but excelled especially on this occasion! Stay tune for my next post coming soon..